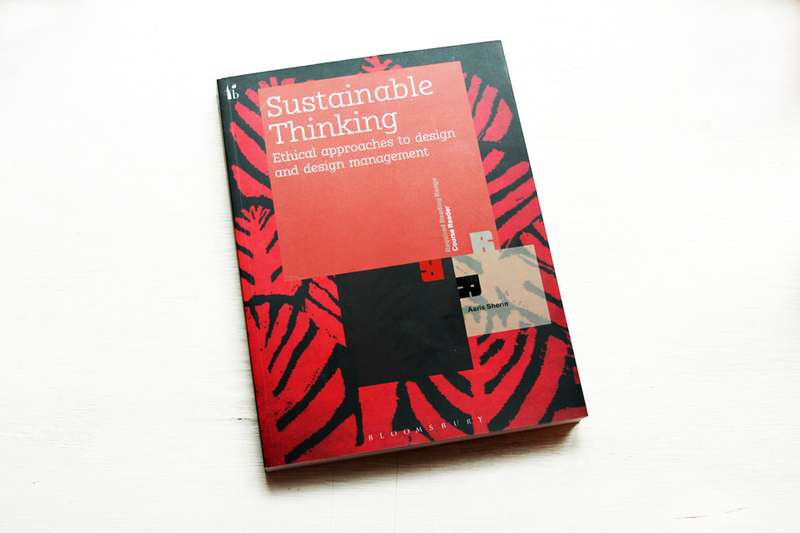 I’m delighted to say that Elio Studio is featured in a new book by Aaris Sherin called Sustainable Thinking. My good friend and collaborator Chris Haughton is also featured for his amazing fair trade work with Node rugs. During the writing of the book, Chris very kindly suggested that Aaris speak to me about my design storytelling work with Elio Studio. And so it came to pass that Chris and I are case study neighbours in this excellent book on design thinking and management in sustainability, published by Bloomsbury. 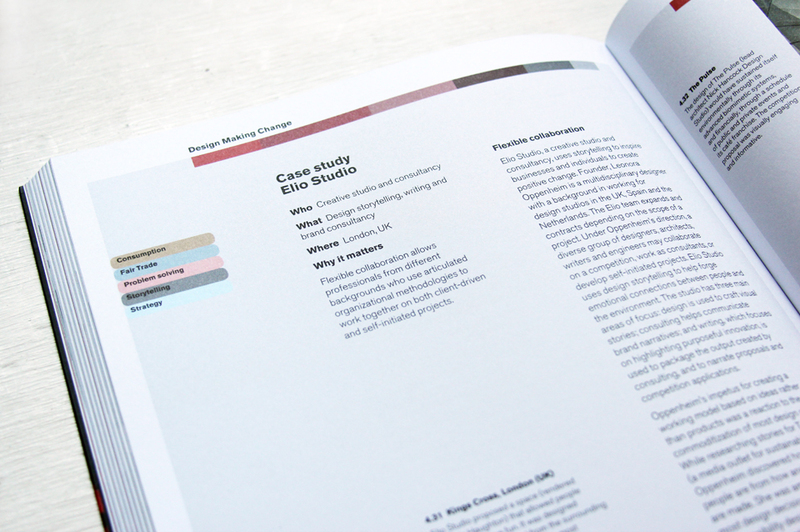 The case study on Elio Studio is a full six pages long (whoop!) and features several of our projects, including The Butterfly Effect and One Planet Living. You can find the link to a PDF of the case study below, but here is a quick excerpt. ‘Collaboration is important because the issues surrounding sustainable innovation are complex,’ says Oppenheim. To create the most relevant solutions, she suggests that ‘a networked systems approach is needed and the best way to do that is to leave our disciplinary silos and cross pollinate with others.’ Not every designer is suited to working in multidisciplinary, less-defined situations. Connectors, translators and managers are needed. To that end, Oppenheim acts like a ringmaster for Elio Studio. Different types of projects require distinct expertise and the number of people working on a job will vary depending on a project’s scope, budget and the skill sets needed to produce the intended outputs. You can buy the book on Amazon or direct from Bloomsbury. As well as Chris Haughton and Elio Studio, Sustainable Thinking features other brilliant people who have inspired me over the years including Valerie Casey of The Designers Accord, Safia Minney of People Tree, Emily Pilloton of Project H Design and Duke Stump of The North Star Manifesto and Do Lectures USA – it’s choca block with brilliant design ideas to make the world a better place.